Why do we need a zero turn lawn mower? Zero turn mowers are becoming increasingly popular for both personal and professional use. If you want to save mowing time on a large acreage of grass, a zero turn mower may be a good choice. A test carried out to compare the speed and operation efficiency between a conventional lawn tractor and a zero turn mower showed that a zero turn mower can save up to 45% of the mowing time with multiple smooth maneuvers over obstacles on the same yard as compared to a conventional lawn tractor. The ease of manipulation and productivity helps zero turn mowers outcompete almost all traditional ones. Unlike traditional mowers with steering wheels and pedals, zero turn mowers are distinguished with two control levers which serve all functions of speeding up, slowing down, turning left or right, and pivoting. 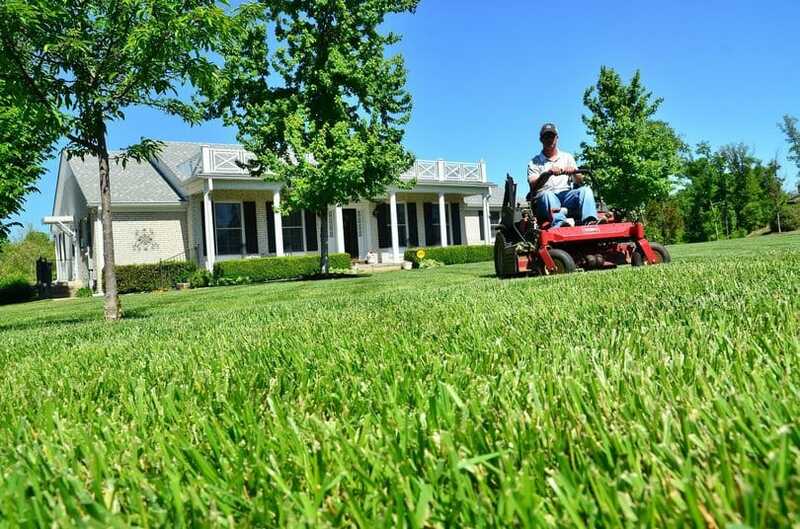 At first, you may find it hard to master the machine, but once you have learned the basic operation rules and spend some time practicing, you may never want to resort to conventional mowers again. Two levers of a zero turn mower control almost all functions of the machine. Turn on the mower, push the two levers forward at the same time, and you are heading forward. As you want to slow it down, just pull the levers simultaneously back to neutral position. If you are a new operator or someone who used to drive a mower with foot brake pedals, this braking way may be challenging. Proper practice will help you become familiar with it soon. 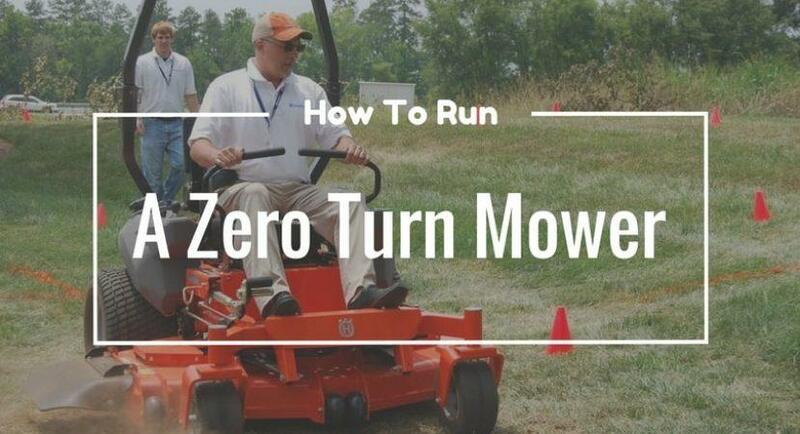 Zero turn mowers differ from traditional mowers in the way that they have hydraulic pumps that drive left and right controlled tires independently. As you want to turn left or right, just slowly push left or push the right lever more than the other. Push and pull the two levers in the reverse direction, and the machine will pivot on drive wheels. This pivoting feature makes it easy for the operators to maneuver over various obstacles. While the machine is spinning, it is still doing wonderful mowing job. The comfortable seat and a seat belt could somehow guarantee your safety while operating the machine. Adjust the seat and the levers so that you can feel relaxed and confident enough. Some zero turn mowers are equipped with sunshade, so you can work longer hours without worrying about your skin under the summer heat. Some even have a pull-along cart that carries necessary items such as water or food which will assist the operator’s break time while working outdoors away from their home or catering service points. There are two levels of Slow Speed and High Speed that you can choose before driving. As a new operator or if you are unfamiliar with the machine, the Slow Speed is highly recommended. Once you have mastered the machine, enjoy riding it at the High Speed and see how efficient and resourceful it is. A zero turn mower could show up pretty well if you have to take care of the large areas of your lawn. However, smaller areas of the lawn at home with trees, shrubs or scattering hindrances along the way cannot make any difficulties to the zero turn mowers as they can move flexibly over those things. 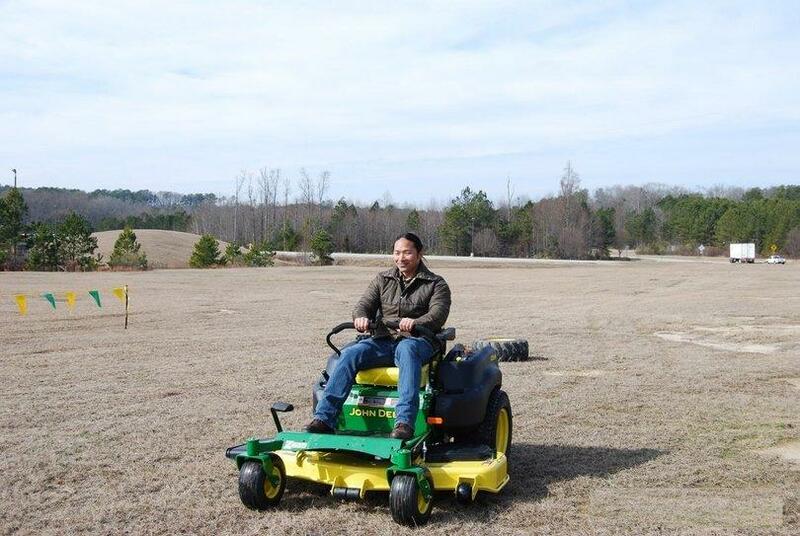 A large straight field is the most favorable performance stage for a zero turn mower. How about high hills? Could zero turn mowers do a great job on them? Depending on the design, structure or sophistication of various zero turn mowers, the advisable slope for operation may be different, but the safety range of a zero turn mower is less than 15 degree sloped hills. Because pivoting or turning on the uneven fields is not a piece of cake, it may even result in unwanted accidents if you forget about the basic rule: gently pushing or pulling of the two control levers while you want to have the machine go by your will. With all outstanding features of a zero turn mower compared to the traditional riding lawn mowers, it is very tempting for you to own one if you want to get the grass mowed smoothly and perfectly as you wish. Of course the price of a zero turn mower is somewhat higher than a conventional lawn mower that is the same size, but it is still a good investment because of the time saving advantage and the ease of manipulation. The price range of the zero turn mowers is various, depending on the manufacturers, the quality of the engines or the components, and the features offered. However, it is wise to possess a high-quality machine with the advanced features and the reliability, despite of high initial payment. Generally a zero turn mower may function well for 2000 hours with negligible maintenance expense. If you want to have longer use, more money could be spent on maintenance, but the professionals tend to switch to a new machine after that 2000-hour operation to save the repair cost. After weighing all the pros and cons of owning a zero turn mower, don’t hesitate to search for one base on your budget and the desirable features you would like to have.